Use the free Opencart newsletter module to add impressive emailing capability to your online shop and see your sales increase fast. Synchronize your contact data, purchase history and product information from your website with your new email marketing capability. Opencart extension is a timesaver. Newsletter2Go takes care of the daily sync’s and lets you import product information and photos directly into your newsletter so that you could surprise your subscribers with relevant content. The integration also offers you detailed and easy to use reporting features that allow you to track your newsletter campaign in real time. Use geogtracking, click maps and multivariate cluster analysis to watch your success in real time. The integration also offers you detailed and easy to use reporting features that allow you to track your newsletter campaign in real time. For example, you can see how many subscribers have opened the email and clicked a link. With the Opencart newsletter module, you can use geotracking, click maps and multivariate cluster analysis to watch your success in real time. Becoming an analysis guru is a breeze with the Opencart module at hand. Click here to learn more about email marketing. 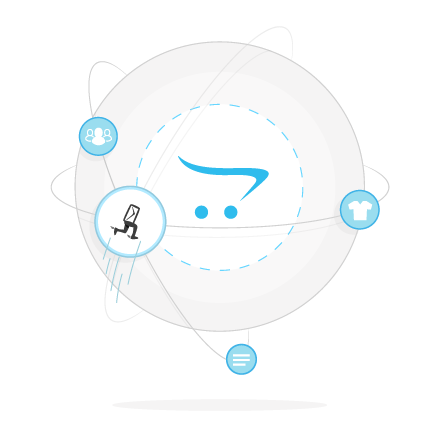 The Opencart newsletter module features daily contact synchronization with your platform. Use identifying traits from your online commerce platform to build responsive and automatically updating contact profiles. Send the perfect offer at the perfect time to the right customer with this powerful and free Opencart integration. The Opencart module is quick and easy to install Surprise your subscribers with relevant content, which you will create in no time thanks to the Opencart extension. Transfer product information, photos, prices and other identifying information directly into your newsletter with just one click. In order to access this premium feature, we’ll design your own premium newsletter template using your firm’s design and logos. The premium template speaks via the Opencart integration directly with your store, so that you can import all important product information into your newsletter simply by entering the product number. Note: The contact synchronization with your system is free. To use 1 click product transfer, you will need a one-time premium newsletter template. These can be booked by email at *protected email* or in your Newsletter2Go account. The template creation is, of course, programmed and designed exactly according to your wishes.